As a 38 year old man I was hesitant to get braces. To my delight the process was much easier than anticipated, less painful than anticipated and much quicker than anticipated. I opted for the Sure Smile upgrade and WOW was it worth it. I made it in and out of my braces in 15 1/2 months and have a great smile for my wedding that is coming up. My son, Quinn and daughter, Joren both had braces from this fine Dr's office. One of the best things for me was that the office is run like a well oiled machine. Don't like taking kids out of school for appointments so the time frame that they were out of class was short. The braces may have been on for a long time but that is a perfectionist at work. The staff are all super friendly and the waiting room is relaxing for the parent. If you need an appointment they can work with you to fit you in to his schedule. I appreciate all of you at Rosenzweig Orthodontics!!! My experience at Dr. Rosenzweig's office was truly wonderful! I recently had my braces removed and I actually miss going there regularly! The wonderful ladies and Dr.Rosenzweig became like old friends that I enjoyed visiting with at my regular appointments! I brought my 5 month old baby boy with me for my first appointment and he would come with me for the next year and a half. Everybody at the office was so accommodating and supportive of me bringing my little guy. It was really nice to feel so welcome and to be able to have him sit in my lap while I received dental care without any problems. I really loved my experience at this office and my teeth look amazing. Thank you so much for your kind and compassionate care over the past five years, first with Kiersten and now, with Kelsey. A healthy smile is considered necessary for social mobility and accepetance, interpersonal relations, employability and a good self-image. Your professional care has given our daughter that and so much more. We may not able to express our appreciation in words, but hope you enjoy the photo as much as we love seeing her smile. THANK YOU FOR A VERY POSITIVE ORTHODONTICS EXPERIENCE! You are all so friendly & kind, it is a pleasure to come to your office. Josh looks so handsome with those lovely straight teeth! Here is a Matt's senior picture. Thanks to you - he has a fabulous smile. Thank you for your extraordinary care for our kids! HE IS A GIFTED ORTHODONTIST AND HAS A WONDERFUL STAFF. We've had two daughters receive orthodontic services from Dr. Rosenzweig, and we couldn't be more pleased. He is a gifted orthodontist and has a wonderful staff. Every trip to Bend, or better yet .... appointment in Burns where we live ... was a good experience. They worked with us on schedule changes when we had to shift appointments, and always made us feel important to them. I highly recommend Dr. Rosenzweig to anyone in the Central Oregon region. He knows his stuff and his staff rocks!! I AM VERY HAPPY WITH MY NEW SMILE. Dr. B and his team did an outstanding job. They made the whole experience awesome, relinquishing my nerves the first time I walked into their office. They are very upbeat and engage in conversation to really get to know you and how you are doing. They explain what they are doing and ask of your concerns. From the pleasant atmosphere to the outstanding Staff every visit was one I looked forward to going to. Thanks Rosenzweig Orthodontics for making my smile one to smile about, it's perfect and I get so many compliments on my smile! I WAS SO PLEASED WITH MY EXPERIENCE AT ROSENZWEIG ORTHODONTICS! Dr. Rosenzweig and his staff have created an office atmosphere that is highly professional, yet warm, friendly and fun, and they are oh so efficient! On my appointment days there were never any long waits, and if I needed to be seen in between scheduled visits they managed to get me right in. Everyone in the office was always so pleasant to me and to each other which made it a really nice place to visit on a regular basis. Dr. Rosenzweig did a beautiful job several years ago on both of my children's orthodontic treatments and, at 51, I am so glad I asked him to do mine. I love my "new" smile! I would highly recommend him and his entire staff to anyone considering orthodontics. All four of my kids have gone to Dr. Rosenzweig for braces and have had amazing results! DR ROSENZWEIG AND HIS TEAM ARE AMAZING. Having gone through the process of braces before, I was very particular and was not looking to just find another orthodontic. I did quite a bit of research and after my initial meeting, I was extremely impressed. Dr Rosenzweig is very patient, kind and extremely detailed-oriented. I never felt like a number and always felt that personal connection through out the whole process. I guarantee you will not find a better orthodontic practice than Rosenzweig Orthodontics. I CAN'T SAY ENOUGH ABOUT THE ATTENTION TO DETAIL FROM DR ROSENZWEIG. I chose Rosenzweig Orthodontics based on my dentist recommendation. I'm so glad my dentist made this recommendation. The front office staff is very friendly and helpful with all questions. I can't say enough about the attention to detail from Dr Rosenzweig. He made sure my questions were all answered. Most noteworthy is the great team that remembers your name from visit to visit. I feel comfortable recommending my friends and family to this office. DR ROSENSWEIG IS AN AMAZING ORTHODONTIST. My son just got his braces off and we are all extremely pleased with the results. It is obvious that he really cares about his patients and the work he does. He gives a great deal of attention to detail and the staff is very helpful and kind. I would highly recommend him to all my friends. THEY REALLY CARE ABOUT THEIR PATIENTS. My husband and two sons are patients at this office and we have had a great experience. Dr. Brian and his staff are warm, friendly and professional. They really care about their patients. Our 12-yr-old is out of braces now and his results are fantastic! I'm confident that my husband and younger son will have the same great outcome. Thank you Dr. B. You and your staff are wonderful. We visited four different orthodontists in the area when deciding where to take our 3 oldest children for orthodontic care. We chose Dr. Rosenzweig for several reasons. He was clearly knowledgeable and up to date in his profession. He explained the treatment plan for each child in a way that we could understand and answered all my questions. The office manager was able to work out a payment plan for us that fit our family's budget. The office staff were always friendly and kind to my children as was Dr. Rosenzweig, who saw them at each visit. We had a great experience and wouldn't think of taking the two youngest kids to anyone but Dr. Rosezweig when they, too, need orthodontic care. YOUR STAFF IS WARM AND KIND ON THE PHONE AND ARE EASY TO SPEAK WITH. Many warm and special thanks for doing such a great job with Mitchell's bite! As you may remember, Mitchell had gone to another orthodontist and was banded not once but twice trying to correct a difficult bite. However, you nailed it. Within two months I could see his bite was headed in the right direction. Now, his braces are off and his bite is perfect thanks to you. I have dropped your name at more then one dinner party letting the community know what a wonderful job you and your staff have done. Thanks again. All of the staff are friendly, helpful and great at what they do. The entire team works together for the best results possible. Our entire family has been thru braces with Dr. Rosenzweig and we couldn't be happier. I recommend his team to everyone I can! OUR EXPERIENCE WITH DR. ROSENZWEIG AND HIS GREAT TEAM HAS BEEN FANTASTIC. We're on kid #2! My daughter had to begin her orthodontics with oral surgery and braces on the same day. I remember driving across town with my child in pain and coming off anesthesia wondering how she would make it through her next appointment (and we were 45 minutes ahead of schedule). We entered Dr. Rosenzweig's office and were immediately taken care of. My daughter had the most gentle and efficient care. We could not have asked for better service and we were back in our car and heading home before her scheduled appointment time! Both my children have beautiful teeth! Thank you Dr. Rosenzweig. OUR EXPERIENCE(S!) WITH DR. ROSENZWEIG HAVE BEEN WONDERFUL! He has produced beautiful smiles in our oldest 4 children and will start the last 2 this spring. Living in Burns, and having the Dr and his great staff come here for most of the appointments have been very helpful. His office has been so good to work with fitting us in when needed and finishing up braces before, during, and after my kids have gone to college. Can't say enough good things about him and the helpful and friendly staff! MY EXPERIENCE AT ROSENZWEIG ORTHODONTIC WAS GREAT! Whenever I came in for an appointment I waited no more than 5 minutes and everyone who worked there was so friendly and nice. Not to mention whenever I came in Dr. Rosenzweig and his assistants were always curious about what was going on in my life. All my appointments seemed to be good experiences and were done in a timely manner. Most importantly I love the way my teeth turned out! Thank you. Dr. Brian is wonderful and very knowledgeable but what makes his practice really special is the office and orthodontic assisting staff. What a great group, they really make you feel welcome and comfortable during orthodontic treatment. As orthodontic treatment usually takes several years or so to complete, you want a place you do not dread going to on a regular basis and may actually look forward to! My oldest boy just got his braces off and his teeth look beautiful. He looked forward to his appointments bc he enjoyed chatting with Dr. Rosenzweig. Our middle child, Neil, got his front teeth knocked out & Dr. Rosenzweig is doing everything he can to fix his bite & get him looking as good as possible. Our daughter will be headed in there next. We wouldn't think of taking her any place else. Plus, his wife is very nice & cute kids too!! I started my orthodontic adventure two years ago, braces are now off. I was 46 at the time I thought I was a little to "mature" okay old for this process. I am so glad I did it. I have no reservations. Dr. R is a skilled craftsman at his job. It was a pleasure visiting his office every six weeks, I actually miss it. The staff and Dr. R are funny, kind, gentle and make you feel like family. On a scale of 1-10 I give him a 10!!!! My teeth were never crooked but tipping in and now my friends and co-workers are amazed at the transformation and how "beautiful" my smile is. Thanks Dr. R.....remember you are never too old to take care of your smile. THANKS TO THE ENTIRE STAFF FOR THE GREAT CARE PROVIDED TO OUR FAMILY! Our family experience at Rosenzweig Orthodontics was exceptional. Always greeted with smiles, kindness and complimentary tea/coffee (essential after the long trip from Madras), we found the staff to be professional, respectful of our travel time during inclement weather, and willing to work with our schedules to get both our busy kids in on the same day as often as possible. So exceptional was the scheduling that we were often able to have visits in the Redmond office, often on our days off, and our kids (who had different treatment plans) had their braces put on the same day AND taken off the same day (earlier than expected for one of them). Dr. Brian always took time to ask the kids about their activities and it made them feel great to know that he seemed interested in their successes. My husband even had a couple consult/treatment visits in this practice after the kids had completed their treatment. All in all a wonderful experience that I would recommend to anyone needing orthodontic care! The time spent at Dr. Rosenzweigs was by far an outstanding visit. After dealing with a botched surgery from time in the military. Dr. Rosenzweig and his team were able to still make a great smile out of my teeth in a most outstanding timely manner. If I ever had to do it all again they would be my first choice. I have heard some stories of others that could never have done what he did. Many thanks to them! OUR FAMILY HAS BEEN SO PLEASED WITH ROSENZWEIG ORTHODONTIC. Dr. Rosenzweig and his staff did an excellent job with our oldest son's braces. He estimated it would take 2 years and he was right. After having braces for more than 4 years as a child myself, I was so glad that my son only had to deal with braces for two. As a teacher, I needed appointments to be scheduled after 4:00, and they accommodated us every time. Now our younger son has braces and it's going just as smoothly. Thanks Dr. Rosenzweig! I chose Dr. Rosenzweig as my orthodontist after my dentist told me I would need braces for the third time in my life or I would risk losing several of my teeth. This was a risk I was unwilling to take. Since I had braces twice before with the same orthodontist I wanted someone I could trust to do it right the third time. I am very happy with the outcome. Dr. Rosenzweig office and staff were easy to work with. My daughter is now starting her orthodontist treatment with Dr. Rosenzweig. I have had three children treated by Dr. Brian and he is truly an amazing doctor. He is a true perfectionist, caring, alway's makes the patient feel at ease. He remember's the activity's there participating in, and alway's is interested in what's going on in there lives!!! Along with the doctor, all his staff makes the whole experience wonderful!!!! We highly recommend Dr. Rosenzweig!!! We have had 2 kids with braces. Rosenzweig orthodontics was great. Dr. Brian has a good philosophy and does not start things when the kids are too young. The staff take great care of you and the payment plan is relatively painless and hassle free. Would definitely do it again..if we had to, but ..thank goodness only had 2 kids! I took my son to dr brian for tmj pain , and to straighten his teeth , he is living pain free and has beautiful straight teeth , Natalie came with very crooked teeth , and today she has a smile that brightens everyones day , she no longer hides her smile with her hand over her mouth . It makes me tear up to look at how beautiful her teeth look , and dr rosenswag and staff became our friends and they they treated my kids with so much love wanting to help them any way they could . Thankyou from the bottom of my heart. I have been seeing Dr. Brian and his staff for MANY years, as I had braces and now both my kids have. The results are beautiful. The staff is absolutely wonderful and has become family!! They are always very accommodating and make you feel at home and very welcome. I would, and have, recommended Dr. Brian's office to many friends. Our daughter just recently got her braces off and her teeth are absolutely beautiful. We just can't say enough about Dr. Rosenzweig and his staff. It is such a warm and welcoming environment! He is very personable and relates so well with the kids. My husband got his braces off a few months before our daughter got hers on and he had a wonderful experience as well. Our son is next in-line and looking forward to the end result. We wouldn't consider going anywhere else. We highly recommend Dr. Rosenzweig!!! Our 11 year old daughter had an orthodontists in our old town. They had taken off her braces & given her a retainer. They also felt that she would have to have one of her permanent teeth, in the front, removed to create enough space. She was not thrilled about this idea. When we moved to Bend, we began looking for another orthodontist. A family member suggested we check out Rosenzweig. We had initially called them, but we were sent directly to voicemail, so I had hung up and called the next orthodontist on the list. We interviewed the orthodontist that was second on my list & left the office feeling a bit uncomfortable. So, I called Rosenzweig's office back again. My husband and I were amazed by the appointment. The building was nice and clean & the staff was very friendly. Dr. Rosenzweig sat down with my husband & I & explained thoroughly, with pictures, what was going on with our daughter's mouth. Long story short, she does NOT need to get her permanent tooth pulled! He is GREAT!!!! Dr. Rosenzweig and his staff are top-notch. To a person they are friendly, professional, and one of the happiest office staffs I have ever been around. They all make you feel as though you would like to invite them over for a back yard bar-b-que and hang out with them. Originally I was going to have orthodontic work when I was 14, but it was too expensive for a post-war working family with 4 boys, By the time I was older and working, I too was strapped for cash. However, I managed to put my kids through the orthodontic process. Later in life, with kids through college, and when I could afford orthodontic work for myself I said, "For Heaven's sake - you're 40! Why do you want braces at this late age?" I said the same thing at 50 and again at 60. When I turned 71 I wandered into Dr. Brian's office, had a consultation, and decided to take the plunge. For 20 months and 1 week I was going through the same process that two of my kids went through, and all I can say is that I should have done. BEST ORTHODONTIST IN CENTRAL ORGEON BY A CUT ABOVE THE REST !! Where to start, my son had a Baseball accident when he was 10 years old. He had 8 years of dental work before this whole project was done there was a team of 3 Doctors involved in his care. One of the 3 was Dr. Rosenzweig for years we worked with him and his team. Just incredible. His work is by far the best I have seen the end result is that you could never have even noticed that my son had an accident his teeth are Beautiful and we could not have done this without Dr. Rosenzweig & his incredible team. CAN'T SAY ENOUGH ABOUT THIS WONDERFUL TEAM!! My daughter just got her braces off this month!! WOW! Not only did we get treated terrific, but, her smile is absolutely beautiful! We did get other consults before choosing Rosenzweig Orthodontics and hand over picked DR Brian. I just recently completed my orthodontic treatment with Dr. Rosenzweig. I can say without reservation that Dr. Rosenzweig and his staff are #1 in all aspects of patient care. The results of my orthodontic treatment are awesome, and Dr. Rosenzweig is the best at what he does and does all he can do to ensure a great result. Thank you!!! Dr. Rosenzweig and staff are amazing. Having to get braces at the age of 50 was made so much easier and painless due to the courteous, caring and professionalism that I received at every visit from Dr. Rosenzweig and his staff! I really appreciate Dr. Rosenzweig and his great staff. I always feel valued and welcome. I had a bite issue that was causing me to break teeth. After careful study and consultation, Dr. R. was able to fix my bite without the recommended jaw surgery. I also appreciate that he and his staff travel to Burns and Redmond, saving their patients long trips. I am a mother of four children. To date, I have had three children and myself in braces. All with Dr. Rosenzweig.I just got my braces off yesterday. I am so pleased at the amazing job he did with my bite and appearance. Not only is he the best at making your bite and teeth beautiful, he is extremely caring and goes out of his way to make sure his patients are supported. He is very fair and professional, this is also reflected in the associates on his team, you will not meet more enthusiastic, kind and professional people. He makes it very easy and affordable to have a beautiful smile and teeth that are working properly. It is hard to find service of this caliber, Dr. Rosenzweig and his staff are the best you will ever find! I recommend to anyone looking for orthodontics to go to Dr Rosenzweigs office. He does an amazing job. Such a perfectionist. The outcome is a beautiful smile. We enjoyed going for appointments. He has a wonderful staff, starting with the front office to all the girls in the back office. Everyone is very friendly and professional. Thank you Dr. Brian Rosenzweig. AS GREAT AS IT CAN BE! The braces themselves are not a whole lot of fun, but being in the office and working with Dr. Brian and his amazing, wonderful,and friendly staff was top notch! Service was easy, fast, accommodating and always pleasant. My kids had a great time playing while they waited for me. My son is next, and daughter to follow shortly, and Dr. Brian is not a guy in a rush, but patient to go in when it's time. I smile a lot anyway, I just look better now! I highly recommend this office. DR. ROSENZWEIG IS SO CARING AND THOROUGH! Dr. Rosenzweig took care of both my daughter and myself. I was very impressed that he did not try to get our daughter into braces until it was time. Dr. Rosenzweig always took the time to give both my daughter and me personal attention at each visit. My daughter and I are both done with our treatment other than continued care with our night time retainers. We miss Dr. Brian and the staff they are all very caring. ROSENZWEIG ORTHODONTICS IS THE WAY TO GO! Dr. Rosenzweig and staff took care of all three of my children's orthodontic treatments. Dr. Brian even took over the care for two of them when treatment that we started with another orthodontist in town wasn't working out to our satisfaction. I found Dr. Brian to be very knowledgeable and personable, the clinic is always welcoming and clean and organized. His staff are all very professional and friendly. I feel that they really care about their job and they seem to have fun working there making it a place where everyone is comfortable. I am very glad that we found Rosenzweig Orthodontics. This office was recommended by a friend, who knew my child was very uncomfortable with the idea of braces. The consult was free, and informative and the technology was impressive. My son was put at ease and made comfortable with every procedure since. The staff is wonderful, warm and caring. I will be taking my daughter to them as well when she gets old enough. What can I say that hasn't already been said!?! KNOWLEDGEABLE and KIND!!! Dr. Brian and his staff lived out these character traits with every appointment in my 2 1/2 year orthodontic experience. From the detailed, professional, friendly consultation....to consistently providing the best care (communicative, patient, considerate with individual pain threshold, diligent in details)....to the flexibility in scheduling....and the forgiveness in a missed appointment....from the balanced approach in challenging me to wear my bands...to the ever-present persistence in this mouth transforming process. Dr. Rosenzweig and his staff care about people first...and enjoy helping them develop beautiful smiles. Just lay back in the chair and listen to the happy chatter...you will find yourself looking forward to the next visit! Upon the recommendation of an oral surgeon and our dentist, I took my son to Dr. Rosenzweig for evaluation. During the next two years, Dr. Rosenzweig and his staff were unfailingly pleasant, friendly, and professional as they worked to correct my son's bite. Dr. Rosenzweig is a perfectionist in the best possible way. My son wore the braces a little longer than planned because there was one little detail that stubbornly refused to be aligned. At one point, the Dr. told us that many would take the braces off and continue the fix with the retainers, but he really preferred to get it right! We are very grateful for my son's healthy bite and beautiful smile! It was worth the money, the time, and the inavoidable discomfort of braces! We actually miss our visits to Dr. Rosenzweig's clinic! My experience during the two yrs at " Dr. Bri's" as we locals call him, was professional,caring,and understanding. Fun times there with all the Gals..Feels like one Big family! All of the Staff there put their best foot forward to care for your specific needs. They are all very knowledgeable and trained for each individual patients treatment process. Very clean but comfortable..Thank-You All!!!!! I Love My New Smile.. Dr. Bri is the first in Oregon to have Sure Smile! I recently got my braces off after two and a half years with them at Rosenzweig Orthodontics and love the results. Dr. Rosenzweig did a fantastic job and I had a great experience. Love the overall environment. DR. Rosenzweig and the staff have been so fantastic and wonderful to work with. Dr. Brian is very good at explaining to my husband and I exactly what my son needs and how the treatment will follow. The assistants are very nice and make him feel at ease and make having braces a fun experience! Dr. Rosenzweig is very professional as well as upbeat!! He and his staff are friendly and fun and have kept my now 9 year old calm and unafraid...no small task!! They remember details about us from visit to visit and we have developed a friendship as well as receiving wonderful care!! 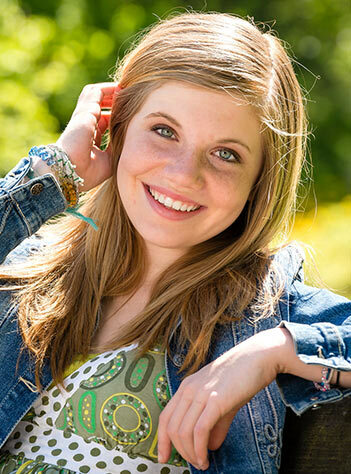 The specifics of her treatment were well explained and the braces have been easy to deal with. I will bring her back as a teenager and will also take my younger daughter there for braces as well!! This group has got to be the happiest group of people I have ever been around. Dr. Rosenzweig is extremely personable and cares about each individual. I would recommend Dr. Rosenzweig and his group of professionals to anyone looking to have orthodontia work. Awesome experience. OUR FAMILY LOVES DR. ROSENZWEIG AND STAFF!! Our daughter needed help maintaining a space for a tooth that didn't come in when she was only 7 and they treated her like royalty!! She was never scared to go in for her spacer adjustments, and then when she needed braces, was completely confident!! They are all super friendly and took the extra time to explain things to her so she wouldn't be surprised or scared. She has completed her first phase of braces and her smile looks amazing!! We plan to take our other daughter in to see him this summer!! We highly recommend Dr. Rosenzweig and his wonderful Staff!! THANKS DR. ROSENZWEIG AND STAFF. We have had two children who have had braces with Dr. R. The office was so easy to deal with, very professional and customer oriented. The payment plan was easy and relatively painless, and most important, the work was fantastic. The kids teeth are straight and beautiful!